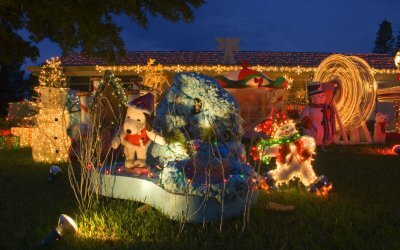 A panorama of Christmas lights on Loveridge Road in Melbourne, Florida. 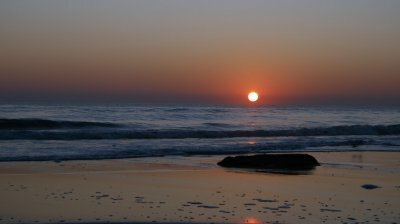 The image is made up of five separate photos and stitched together using Adobe Photoshop CS2's PhotoMerge script. 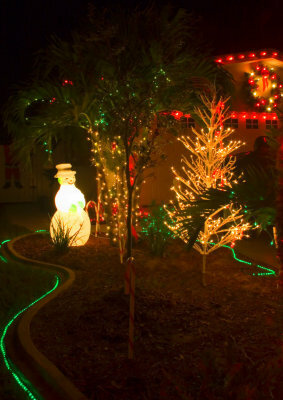 A Christmas forest [of lights] adorns a house in Satellite Beach, Florida. Actually, just cars traveling over the Pineda Causeway between Patrick AFB/Satellite Beach and Melbourne/Viera. This was taken just off of State Road 3 which runs the entire length of Merritt Island up to the Kennedy Space Center and the Vehicle Assembly Building. 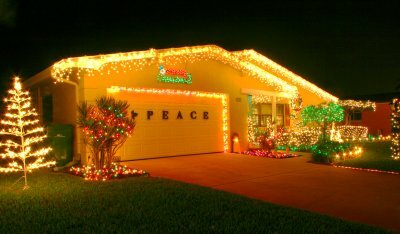 Christmas lights off DeSoto Parkway in Satellite Beach, Florida. Across from Harvey's Groves in Rockledge, Florida is an old, long abandoned gas station with these colorful signs covering the windows. 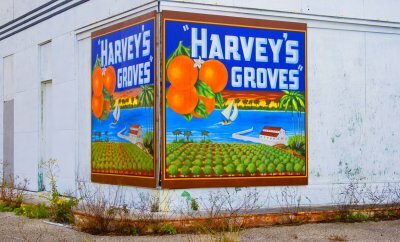 The groves have been operation since the mid 1920s are probably *the* place to go for orange and other citrus fruits in Brevard County (let alone the Indian River corridor). 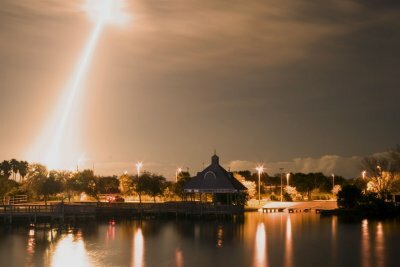 This is my first attempt at a night launch with this camera. Obviously, I need to work at it...lol. 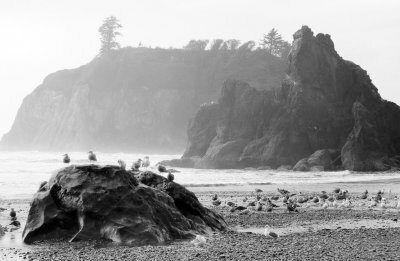 I remember it was fairly chilly when I visited Ruby Beach that day. If I were a bird, I'd be huddling too. Ironically, I was wearing a jacket WITH denim shorts. Yeah, you could tell I was a tourist. Please be sure to check out the other photos in this and other galleries! Snow blankets the peaks of Hurricane Ridge on the Olympic Peninsula in Washington State, October 2003. 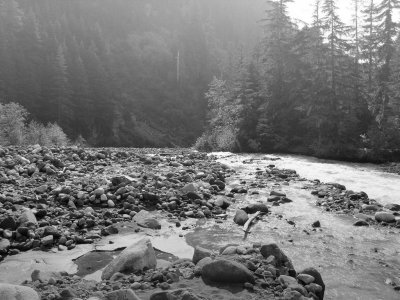 A photo of a river bed at Mt. Rainier National Park in Washington State. 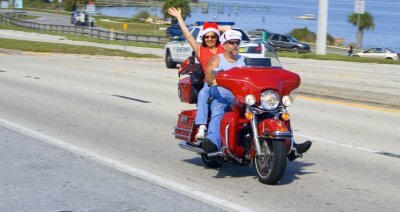 Two of the estimated 20,000 riders who participated in the annual toy run this afternoon.